I got an hysterical phone call last week from Nofar Dekel, who is a young school teacher who lives in Ekron, near Rechovot. She does a lot of animal rescue. She sobbed for 20 minutes because she had found an injured little cat whose x-rays showed a broken pelvis and knee, and had no money to pay for its operation. I told Nofar to get the cat the surgery and that we would worry about getting the money afterwards. 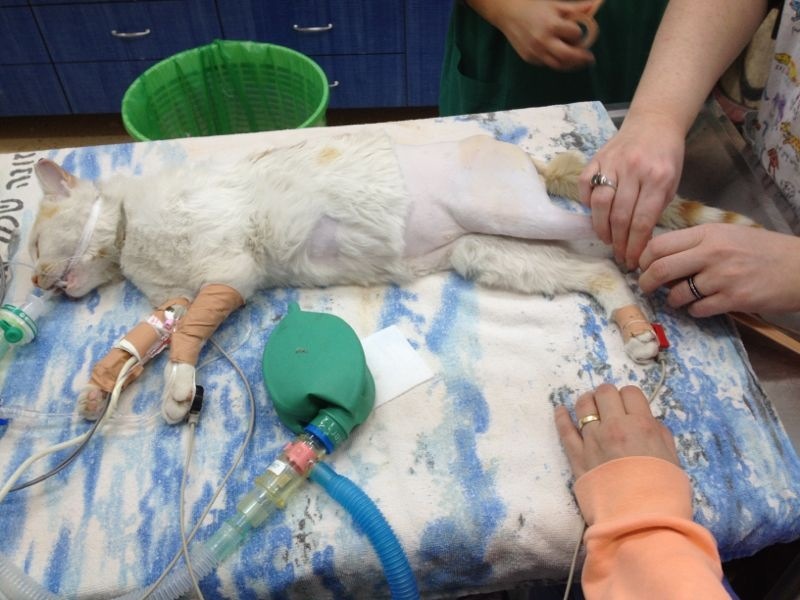 Here are 2 photos of the cat having its operation, which was on Feb. 19th. If anyone would like to donate toward this cat’s surgery bill, either by calling the Koret Hospital and paying by credit card, or sending the money to my Paypal account? It would be great to let me know if you donated, so I can thank you, and also to know how much more money we need to scrape together. My Paypal account can be accessed with my email address. The cat has been named “Nissim” (“Miracles”), just in time for Purim. Posted on February 21, 2013 by holylandcats. This entry was posted in Uncategorized. Bookmark the permalink. 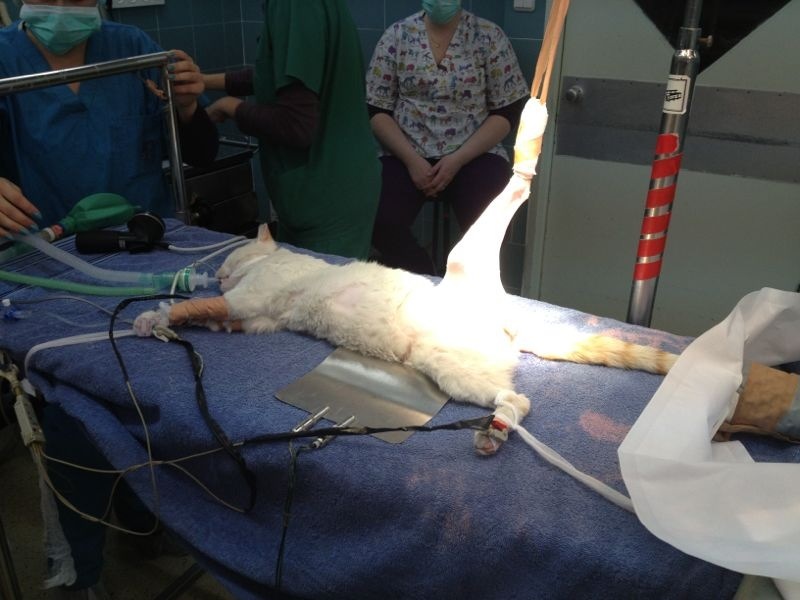 We like to donate Euro 50 (= about 250 shekels) for the little cat Nissim, hope that it helps… Is he better now? We like his name Miracles! Yes it was really a miracle the Almighty saving His people from Haman and He shall ALWAYS save His people! Ps. How can we get your paypal account? Hi, Peter and Joke! I’m so sorry that I am just now seeing your reply about Nissim the cat! Blogging is new to me, and I didn’t know I am supposed to check for comments!